Paperback, 9 x 11 in. / 192 pgs / 80 color. Edited with text by Lionello Puppi, Serena Baccaglini. Text by Giorgio Reolon, Barbara Putova, Silvia Miscellaneo, Antonio Genova. 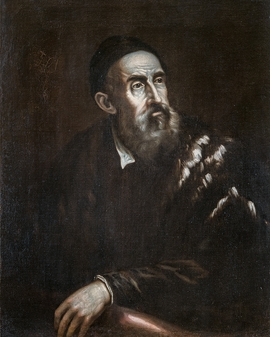 Beginning with the analysis of two works by Titian (ca. 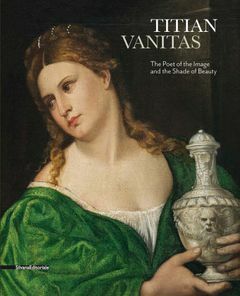 1488–1576) preserved in the Czech Republic—the so-called “Vanitas” belonging to the Prague Castle Collections, a portrait of a beautiful young woman usually interpreted as an allegory of vanity, and the gruesome “Flaying of Marsyas” housed in the Archbishop’s Palace in Kromeriz—Titian: Vanitas deals with the artistic and existential life of the Cadore-born painter and presents the two paintings in the context of Titian’s broader production. This volume, edited by Lionello Puppi and Serena Baccaglini and including texts from Giorgio Reolon, Barbara Putova, Silvia Miscellaneo and Antonio Genova, delves into the Renaissance artist’s process and self-presentation, from the preparation of models and the production of replicas to the success of the artist and the intention and manipulations of his self-portraits. FORMAT: Pbk, 9 x 11 in. / 192 pgs / 80 color.